t was in the far-western regions that Tibetans first established permanently inhabited cities. 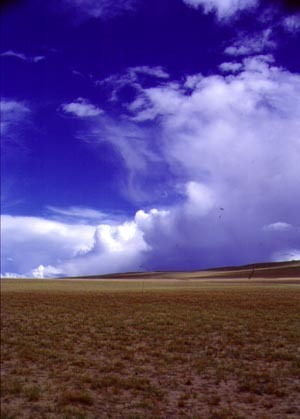 From 2,800BC this was known as ‘heartland’ in contrast to Central Tibet which was known as the ‘outlying‘ area. A succession independent semi-feudal states developed, the most notable being the Kingdom of Gu-ge on the banks of the Sutlej river immediately north of the main Himalaya. 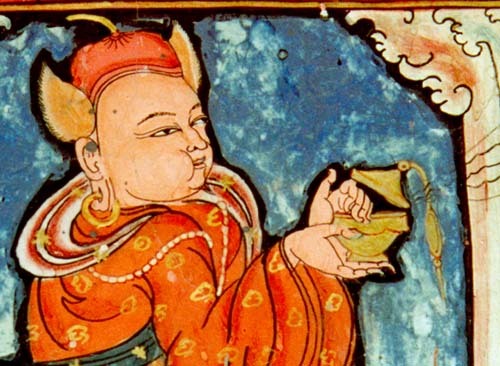 Founded in the 9th century Gu-ge was the political and cultural focus for all western Tibet. Sited on a minor trade route linking Tibet with Kashmir and India the twin towns of Tholing and Tsaparang it thrived until the 17th century when invading Muslim forces overcame the defenses and massacred the population. From the 1680s until the early 20th Century the region was largely deserted, with its great history and cultural treasures forgotten and undisturbed. Gu-ge remains historically important as the repository of an otherwise vanished artistic style and the source from which an invigorated Buddhist faith spread its light over Tibet. It was the charisma and enthusiasm of a few enlightened individuals which allowed this to happen. By the 11th century there was sufficient wealth to support a population of several thousand. Under the patronage of a charismatic king, Yeshi-O, and the guidance of a great translator of Buddhists texts Rinchen Zangpo numerous temples were established. 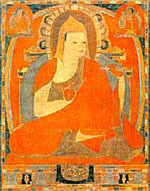 Yeshi-O was a key figure in this second period of the dissemination of Buddhism in Tibet. Initially king, he turned to the monk-hood in later life. He was responsible for sending a young and gifted monk Rinchen Zangpo to India. 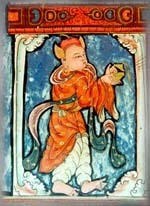 Here the monk became a noted translator of Sanskrit scriptures into Tibetan. Returning to Tibet after seventeen years Rinchen Zangpo with the patronage of Yeshi-O was responsible for inviting Indian scholars to the Land of Snows and for the construction of over one hundred monasteries in Western Tibet, most notably Tholing, Korchar in nearby Purang and Myarma in Ladakh. ..the wonderful activity of the venerable apostle (Rinchen Zangpo)…and the enlightened liberality of the kings of Gu-ge, who, inviting from India the most illustrious masters of their time, as it were transplanted into Tibet the doctrines and practices of the Mahayana. …it is with a sense of profound reverence that we visit this temple, from which a crowd, today almost unknown, of thinkers and ascetics shed over the whole of Tibet a spiritual light which is not yet extinguished. 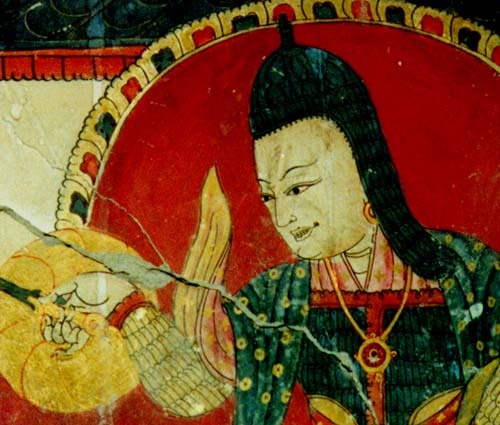 Rinchen Zangpo brought with him 32 artists from Kashmir, giving impetus to the development of the Gu-ge artistic style and thus allowing the flavour of Kashmiri Buddhist art to endure into present times. Towards the end of his life Yeshi-O was captured and held hostage. The enormous amount of gold raised to rescue him was ‘short by the size of Yeshi-Os head’. Rather than rescue himself Yeshi-O gave his ransom and his life to finance the visit of the great Indian master Atisha to Gu-ge. Born of a noble family from Bengal, Atisha arrived at Gu-ge at the age of sixty-one, staying for three years at Tholing instructing the monks and attracting the devotion of ordinary people. The most revered Indian teacher of those times, his prestige and distinction gave a new impetus to the thinking and practice of teachers throughout Tibet. From that time the dominance of Buddhism over the whole range of Tibetan social life was never seriously questioned. 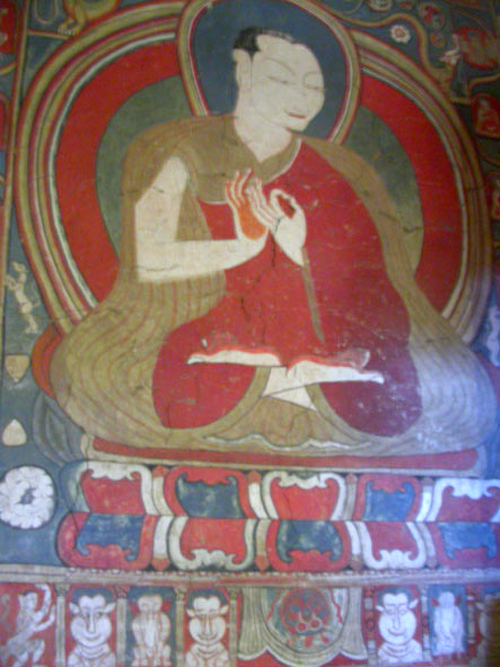 He is usually depicted sitting on a lotus throne with his hands in the gesture of teaching. He wears monks robes and is easily identified by the stupa and the basket of scriptures placed beside him. 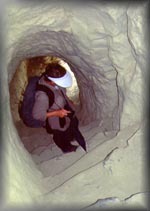 It was at Tholing that he composed his most famous work, ‘The Lamp for the Path to Enlightenment’. When questioned regarding his own attainments, he looked into the sky, saying ‘Tak tak,’ a sound betokening surprise, and adding ‘His accomplishments! Oh, his accomplishments!’ Thus, says the history, he silenced them. his combination of poignant sacrifice, gifted teachers and a succession of royal patrons led to an influx of Indian and Kashmiri artists who over numerous generations painted and sculpted to give the buildings an artistic significance which persists to this day. The artists set standards for a type of art characterised by a clear and lyrical graphic form with vivid colouration unmatched anywhere. This Gu-ge style developed over four hundred years as successive generations of artists embellished their surroundings. Devoid of any Chinese influence the bejeweled figures, trees and floral designs of the Tsaparang murals are more free than similar Nepalese-Newari work. The figures are less stiff and more naturalistic, with greater variety of posture and activity than Newari work in central Tibet. Many panels have a non-religious theme with animals and humans, dancers and singers, foreign and local, going about everyday or ceremonial lives. The luminous colours, sensuous small-waisted figures and wondrous costumes all have taken origin from Kashmiri styles to develop their own character. 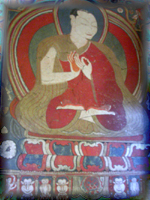 Faces are often depicted in half-profile and are less full than typical Tibetan works with shading and a sense of relief being notable features. Paintings flanking a statue are directly complementary to the image with the panels full of intensely detailed, brightly coloured figures. Gu-ge style reached its zenith in the mid 15th century. 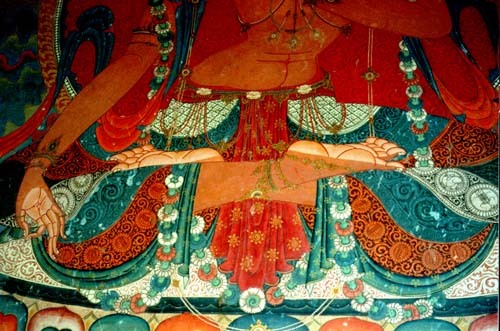 The mural paintings of the Red and White chapels in Tholing and Tsaparang are masterpieces of human artistic achievement. A similar style undoubtedly prevailed in Buddhist temples throughout the Indian Himalaya. However, the advent of Islam in the subcontinent extinguished all traces of Buddhist presence from Kashmir and most of India. We can only speculate on what artistic treasures were lost at that time. The images you see on this page are a small selection of what we have available from Tholing and Tsaparang. If you would like a more complete experience see the full Gu-ge collection. Gu-ge also has notable architecture. The four slender pinnacles which delimit the perimeter walls of the chapel of Yeshi-O in Tholing are the last surviving chortens of the Pala-Sena style which used adorn the monasteries of India. They are also uncommon in being made from terracotta units while most Tibetan stupas are constructed of mud and stone. 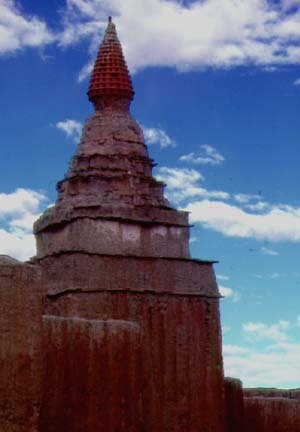 Outside of Tholing this type of chorten only exists in 11th Century manuscripts and the murals of Tsaparang. Graduated stepped-floor palaces are also distinctive of the Pala-Sena style, with several of the temples in the region having this feature. 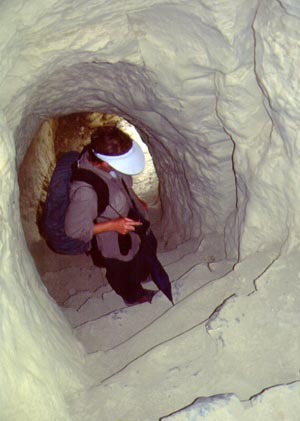 Very obvious, is the presence of numerous cave dwellings throughout the region. Temperature extremes between winter and summer together with a the presence of soft clay cliffs encouraged the development of troglodyte communities from pre-historic times. Simple in structure these cave dwellings punctuate cliff faces like many empty eye-sockets. They are radically different from the elaborate Buddhist cave-temple complexes of Ajanta in India or Dunhuang in Xinjiang. Most are semi-circular with many painted and decorated with statues placed in rock niches. Around Tholing and Tsaparang numerous caves were used as summer and winter retreats by monks and locals. In other parts of the region whole monastic communities lived underground. The Sutlej flows past the town; threatening its existence by gradual erosion of the precipitous bank which separates town from river. That this process is slow can be deduced from the presence of a narrow path between the fortified town wall and the river-abyss. It requires some nerve to walk this path. Much more easy to circumambulate are the rows of 108 chortens which lie inside. At the western end of town is a distinctive large four-sided chorten. On each side stairs lead upwards commemorating the ascent of the Buddha to paradise. Here, in Tibetan mythology he preached to his long-dead mother. 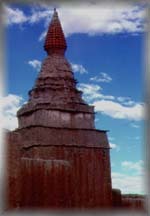 It is in this distinctive stupa that the remains of Rinchen Zangpo, ‘the Great Translator’ are interred. Fortunately the temples at Tholing and Tsaparang survived the 1680 devastation. 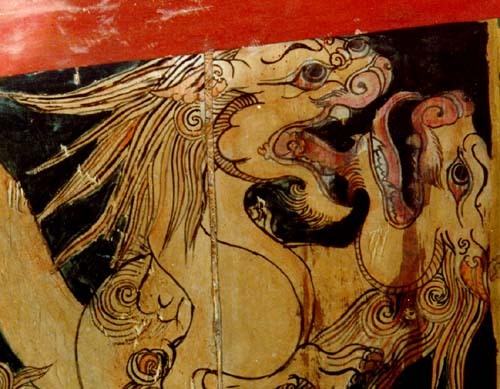 However, more contemporary vandals during the ‘Cultural ‘ Revolution attacked temple statues; beheading them; breaking torsos to rip out hearts; and amputating hands so that now these hallowed images resemble some grotesque exhibits in a chamber of horrors. The revolutionaries confined their attentions to statues, ignoring the glorious frescoes which cover the walls. As one contemporary source comments, " It was as though the apparent physicality of the statues presented more of a threat to the new, abstract ideology of communism for the masses, than plain two dimensional murals." Immediately beyond this place there rise lofty mountains, behind which lies an awful desert, which is passable only during two months of the year. The journey requires twenty days. As there is an entire absence of trees and plants here, there are no human habitations, and the snowfall is almost uninterrupted; there being no fuel travellers live on roasted barley meal, which they mix with water and drink, taking with them nothing that requires fuel to cook. Antonio del Andrade, as quoted in, Wessels, C, S.J. Abandoned by his guides and with only two Christian companions Andrade continued northwards despite heavy snow, intense cold and problems with altitude. Our feet were frozen and swollen, so much so that we did not feel it when later on they touched a piece of red-hot iron….to this must be added a great aversion to food of any kind, and a violent thirst which could hardly be quenched by eating snow. He arrived in Tsaparang (‘Great Residence’) early August 1624 when the kingdom was thriving. Then as now it was a dry infertile region with most of the food imported. However, it is not likely that modern-day travellers would accept the Kashmiri explanation for the region’s barren nature. From the supplies, such as corn, rice, fruit, grapes which were sent me by the king’s order I cannot but conclude that Tibet is a fertile country, but then the capital is a great exception, for it is the most barren spot I ever saw. ... The food is mainly imported, even figs, peaches and wine, and all his has to come twelve days’ journey..... On account of the sterility of the country, Kashmir merchants say that hell lies just underneath it. Despite the harsh environment and isolation, there is no doubt that the kingdom was flourishing. He relates that a caravan of more than 200 traders arrived carrying coarse silks and a great quantity of porcelain from China, an event which was said to happen every year. During this first stay Andrade was favourably regarded by the king who sent him a departure gift of 2,000 rare figs and a letter of safe conduct. This not only assisted his departure but guaranteed freedom of worship and hinted at the religious intolerance that was to be the downfall of Gu-ge only fifty-six years later. ......we give him full authority to teach us a holy law. .....We shall not allow anyone to molest him in this, and we shall issue orders that he be given a site and all the help needed to build a house of prayer. Moreover, we shall give no credence to any malicious accusations of the Moors against the Padres, because we know that, as they have no law (religion), they oppose those who follow the truth. Andrade stayed only twenty five days in Guge and by November was back in Agra writing an account of his travels for publication in Lisbon. A year later he was back in Tsaparang with a Jesuit group. On Easterday, April 12th 1626 he laid the foundation stone of the first Christian church in Tibet. The king had provided an excellent site, close to his palace well positioned to receive the morning sun. To ensure greater privacy a road was shifted to avoid the church area. Andrade set about establishing his mission, communicating his comments in letters back to Goa. In one of these he became the first to publish to the world the ubiquitous Tibetan mantra ‘Om mani padme hum’. Murmured from every lip, wafted onto the winds by countless prayer flags and with a gaze unblinking from the carved stones atop every pass, the echo of this invocation permeates the great spaces of Tibet. Andrade was unable to offer a translation as none of the lamas could furnish a reasonable explanation to all his questions. Other authors offer interpretations of this mantra. "It will be one of the most flourishing (missions)..." Andrade wrote in 1627 with what was to prove misplaced optimism. The Tsaparang mission was not a success. 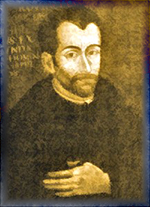 Brother Manuel Marques, who had accompanied Andrade on his initial mission was still there in 1642 but by 1650 the mission was abandoned. There were several reasons for failure. There had always been opposition from the Jesuits in Goa and those sent to Tibet after Andrade's death lacked his vision and vigor. Of more significance was the overthrow of the Guge kingdom in 1630 which led to a loss of royal patronage and the eventual terminal decline of Guge. The king’s favourable attitude towards the Jesuits stirred hostility in the local clergy and an eighteen year war with Ladakh further weakened the royal position. Andrade was recalled to Goa in 1629 and the next year a revolution saw king and family carried of to Leh and the kingdom conquered. Christians, numbering about 400 (some authorities think this figure wildly inflated) were singled out for retribution; many were reduced to slavery or had to share the king’s exile. Although the house and church of the missionaries was sacked there was no loss of life. The missionaries re-established themselves but in such changed circumstance that by 1650 the Tsaparang mission had foundered. Andrade had died suddenly in 1634 while preparing to return to Tibet. It is thought he was poisoned. The stories vary. One says that he was poisoned by a servant, the son of someone Andrade was planning to report to the Inquisition, while contemporary accounts suggest either a Portuguese man or ‘the Mohammedans’ as responsible. He stands like a milestone on the highroad of the centuries, a boundary cliff in the stream of time, and he marks the point from which the history of Tibetan exploration really begins. Of the Christian buildings in Tsaparang nothing is left. In 1919 Captain Young on an expedition for the British examined very closely every building around the king’s palace. "....but found no trace of church or mission,...." except... "A row of white-washed ‘chortens’ stands near the Dzongpon’s house. One of them some forty feet high towers above the rest; and on its summit there lies horizontally a weather-beaten cross of wood. 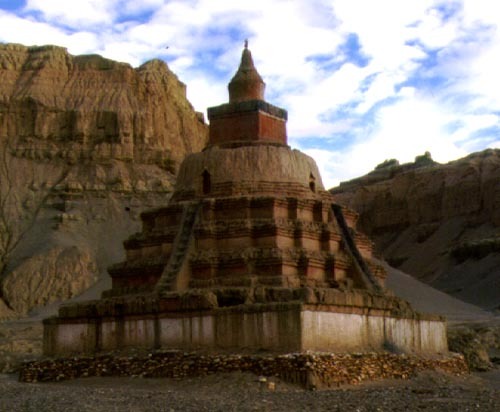 It may be that that chorten was being built, while the lamas were demolishing the church close by; and that some one carelessly, or perhaps thinking to lay up treasure for himself in two heavens, planted the rejected emblem on the Buddhist tomb". Unfortunately this romantic suggestion was to be authoritatively dismissed by Tucci who found the cross to be a part of conventional stupa construction. 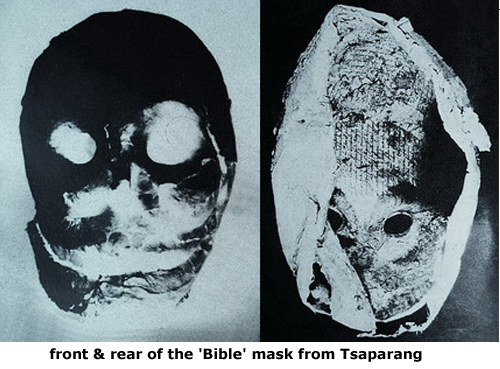 "So the mask is not only an artifact of Buddhism, but also an evidence of local resentment against 'a heresy' among Guge subjects in the latter years of the kingdom." One may question Zhang's speculations, but there is no doubt that these flimsy paper fragments are the only existing evidence of the Jesuit presence in western Tibet. The glories of Gu-ge came more prominently to modern attention with the visit in 1932 of Professor Guiseppe Tucci the noted Tibetologist. Excited by the quality of his discoveries he extensively photographed the temple interiors, mapping and cataloguing the contents. However, he did find the depredations of time and neglect disturbing. ..as if the stony wilderness were climbing upwards from the valley with a slow but inexorable advance and that it is engulfing in its naked yellow throat the last vestiges of a great past. 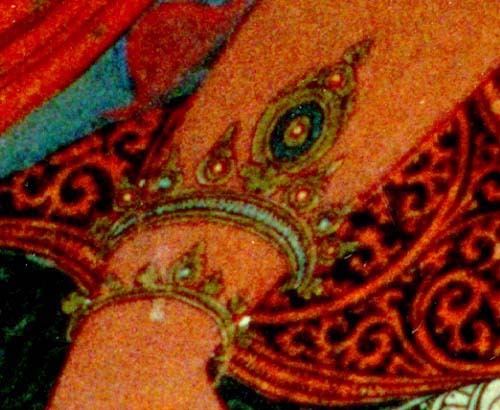 The unique nature of the paintings was further enhanced with publication of pictures taken by Li Gotami and her husband Lama Govinda. Govinda’s account, 'Way of the White Clouds', is an extraordinarily beautiful chronicle of a spiritual and cultural journey. Their work, and especially the two volumes by Li Gotami, 'Tibet in Pictures' forms the most complete account of the region’s art treasures. Lama Govinda was born in Germany in 1898. After army service in the First World War he developed an increasing interest in Buddhism. Moving to Sri Lanka he became a monk and was given the religious name Anagarika ‘homeless one’. Moving to Darjeeling, his personal practice turned towards Tibetan studies and he was eventually awarded the title Lama ‘enlightened teacher’. In 1948, with his wife Li Gotami, they made their famous journey to Western Tibet to study the remains of temples and monasteries founded by Rinchen Zangpo. All his journeys into Tibet he regarded as pilgrimages rather than ordinary travels. 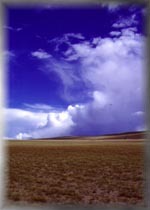 Just as a white summer cloud, in harmony with heaven and earth freely floats in the blue sky from horizon to horizon following the breath of the atmosphere - in the same way the pilgrim abandons himself to the breath of the greater life that...leads him beyond the farthest horizons to an aim which is already present within him, though yet hidden from his sight. In his book ‘Way of the White Clouds’ he describes physical and spiritual aspects of his travels in such lyrical terms that make this book, above all others, essential reading for any sensitive traveller to the region. …the vivid colours and chiselled forms of rocks and mountains stand out in brilliant clearness, divested of any trace of vegetation, like the world on the first day of creation, when only heaven and earth were facing each other in primal unity. The couple stayed for three months at Tsaparang and Tholing, each day venturing into the temples to sketch and photograph; they persevered, working on despite temperatures becoming so cold that a cup of tea would freeze solid if left for a few moments. Govinda travelled extensively in the Europe and America in the 1960’s and 70’s where he died in 1985, at the age of 87.
oling and Tsaparang were alternate capitals of Gu-ge. Both towns are located on the south bank of the Sutlej river 26Km apart and a few miles north of the Indian Himalaya. Tsaparang is virtually deserted having only a few permanent resident families. Tholing, currently in ascendancy as capital of Tsamda county, has perhaps 500 inhabitants, and a significant contingent of Chinese army. Located deep in the complex canyons of the Sutlej, isolation and political reality combine to make modern Gu-ge an expensive and difficult place to visit. It is eight days hard driving to Kashgar in farthest Xinjiang and a similar time to reach Kathmandu, with Lhasa nine days to the east. Political circumstance prevents access from India directly to the south. The nearest airport is Lhasa. Flooding makes the region inaccessible for several months during the monsoon and Chinese regulations require you to travel as part of an organised group with a liaison official to ensure that you behave. Tour companies including our own take small groups to Gu-ge as part of a tour which includes the nearby holy mountain Kailas. The philosophy and style of our company is, I hope, apparent. or me, travel in Western Tibet is like no other. In that high and open land is an astonishing conjunction of living-spirituality and remarkable art where heaven and earth are merged. To experience that is rare. I have given some thought to the proposition that it might not be in the best interests of Gu-ge art to publish these images on the web. Such argument suggests that any resultant popularity might lead to an influx of visitors whose presence will contribute to a degradation of spirituality; the loss of the region’s sense of isolation; and, in the case of art works to increasing possibilities for theft. There is validity in all these propositions. 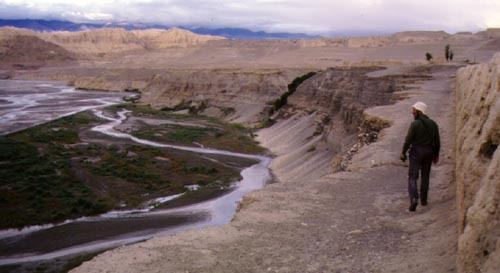 On the other hand, Tholing and Tsaparang are already described in regional guidebooks; the very real difficulties both physical and financial, of travelling to Gu-ge will ensure that visitors are few; increased interest in the Gu-ge art may allow extra funds and effort to be directed towards preservation; and extra visitors may influence the authorities to improve their approach to security. Finally, publication gives opportunity for a wider audience to sense how these artists of the Himalaya helped enhance the human spirit. In my view the arguments in favour of publication are more potent. and the philosophy which gave them origin. The concluding paragraphs of Young’s report suggesting that there was still much to learn about Gu-ge, remains valid today. ...There is still much to be learned of the great age of Tholing, when its golden monastery radiated light and learning through all Tibet from Kashmir to Assam. ... and lastly of the Tsaparang dynasty, its conquests and splendour, and its dramatically sudden fall. 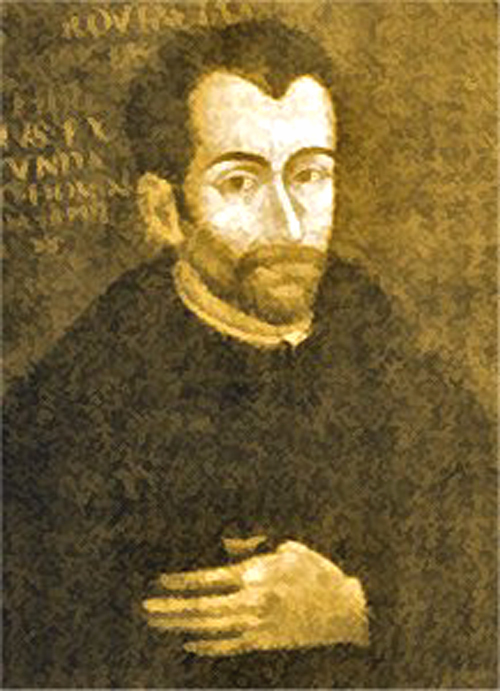 Andrade, Antonio de, S.J., Novo Descobrimento do Gram Cathayo, ou Reinos de Tibet, pello Pardre Antonio de Andrade de Companhia de Iesu, Portuguez, no anno de 1624. Com todas as licencas necessarias. Em Lisboa, por Mattheus Pinheiro, Anno de 1626.